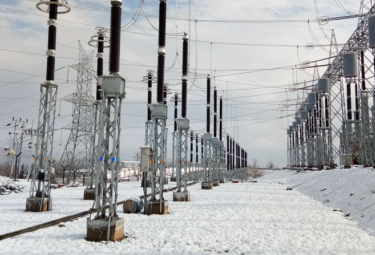 GE Power’s Grid Solutions business announced the completion of a first-of-its-kind project for a 400/200 kV Gas Insulated Substation (GIS) at Magam village in the Baramulla block of north Kashmir. Part of the Northern Region System Strengthening 29 (NRSS 29) project, this project was awarded to Sterlite Power by the Indian Government through tariff-based competitive bidding in May 2014. Sterlite Energy recently shared that the commissioning of the project was two months ahead of schedule despite challenging mountainous terrain. The project will provide over half a million Jammu and Kashmir (J&K) citizens access to reliable power sources year-round. The project was led by GE T&D India Limited, the listed entity of GE Power’s Grid Solutions business in India. GE has commissioned more than four hundred 400kV GIS bays across India, but this project was the first time the company delivered a solution under harsh weather and sub-zero temperatures in India. Situated at an altitude of 1,710 mts (5,610 ft) in the snow-covered hills of Amargarh, this project was implemented in record time amidst tough conditions. “Specially designed vehicles were used to transport the heavy equipment from different locations across India and deliver them safely to the site, overcoming several considerable constraints like narrow tunnels and rough terrains,” said Shailesh Mishra, Business Unit Head, Turnkey SolutionsSouth Asia for GE Grid solutions. “Transporting the material through Jawahar Tunnel was especially challenging. For transportation of transformers we had to dismantle the entire lighting rail and fixtures of Jawahar tunnel and re-do it within a limited time window.” Underdeveloped local markets, limited availability of power from the grid and extreme weather conditions all posed significant challenges for the teams. GE T&D India has a predominant presence in all stages of the power supply chain and offers a wide range of products that include Power Transformers, Circuit Breakers, Gas Insulated Switchgears, Instrument Transformers, Substation Automation Equipment. Digital Software Solutions, Turnkey Solutions for Substation Engineering & Construction, Flexible AC Transmission Systems, High Voltage DC & Services suite of offerings.. GE is focused towards on introducing Green and Digital Solutions aimed towards making the Indian Grid smarter and environmental friendly.